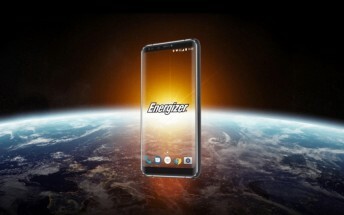 Energizer is famous for making batteries, but the company dabbles in phones as well. 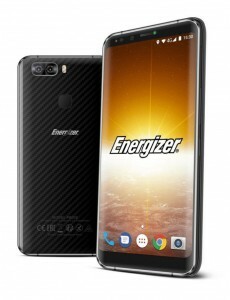 Mostly feature phones, but a few Androids as well and the new Energizer Power Max P600s is its best effort so far. The phone is built around a 4,500mAh battery, which promises “over 12 hours of use” and 16 days of standby. You can stretch that with the power saving mode and quickly fill up the battery with fast charging over USB-C. The phone itself is 9.8mm thick, which is more than we expected — for comparison a Mate10 Pro with a 4,000mAh is 7.9mm thick. And the battery is not outrageously big though it is bigger than most phones out there. Anyway, we’re glad someone else went for the rare carbon fiber look on the back (BlackBerry is the only other company that comes to mind). The colors are important here – the Black version comes with 3GB of RAM and 32GB storage while the Blue one doubles both numbers (6GB/64GB). There’s a microSD slot if that’s still not enough. The Power Max P600s features an 18:9 screen – 5.99” big with 1080p+ resolution and rounded corners for a modern look. Android 7.0 Nougat runs on a Helio P25 chipset (more of a long distance runner than a sprinter). 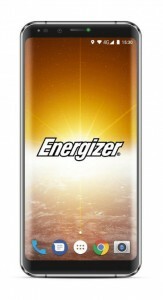 Energizer sourced a 13MP + 5MP dual camera from Samsung for the back and put a fingerprint reader on there too. On the front, there’s an 8MP selfie camera with its own flash. The phone will become available in mid-January and will be sold by the following retailers. We don't have info on the price just yet.